New York City is one of the most famous cities in the world and the most heavily populated city in the United States with over eight million residents in the city and surrounding boroughs. This fast-paced and diverse city is a leading center of the world for finance, politics, entertainment, sports, education, information media and more. Consisting of five boroughs, Brooklyn, Queens, Manhattan, the Bronx and Staten Island, New York City would have the 12th highest GDP in the world if it were an independent nation. New York City is famous for its comprehensive subway system, managed by the Metropolitan Transit Authority. Open 24 hours a day and with 472 stations, the subway can take you almost anywhere in the city at almost any time. New York is the only city in which most households do not have a car, but if you are one of the few Manhattan residents who do own a car, or you live in one of the outer boroughs where car ownership is more common, you must have New York City car insurance. And as well all know, since such insurance can be quite expensive, you want to be sure to contact Capital Gate Insurance Group for the best coverage at the lowest possible price. We’ll work with our network of New York City insuring companies to get you the most competitive rate possible. We’ll stay with you over the long-term as well to shop your insurance to other carriers to avoid rate increases or to more importantly look for other options that might even save you more money! You’ll never run out of things to do in New York City. 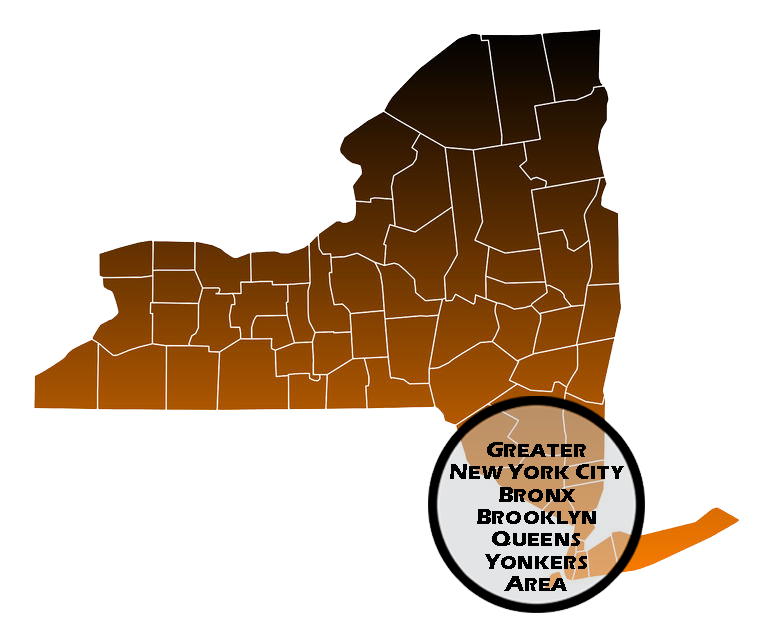 If you like sports, New York City has the most teams in the big five sports leagues — NFL, MLB, NHL, NBA and MLS — as well as minor league teams to enjoy. The U.S. Open Tennis Championships take place in New York City. New York City is the famous home of Broadway, where the pinnacle of theater takes the stage. For outdoor recreation, New York City has a massive park system, including the Gateway National Recreation Area, Riis Park, Central Park, Washington Square Park, Prospect Park in Brooklyn and Flushing Meadows Corona Park in Queens. Living in New York City, especially if you want to live in Manhattan, can be extremely expensive, so you want to be sure your home is covered by good New York City home insurance. You probably do not relish the idea of over paying for homeowner’s insurance in New York City on top of a pricey mortgage, so be sure to contact Capital Gate Insurance Group to get the best homeowner’s insurance rates and a team that works for you. We offer affordable policies for Brooklyn, the Bronx, Queens and Yonkers residents as well, in addition to affordable renter’s insurance that offer the protection you need. As the saying goes, if you can make it there, you can make it anywhere. With millions of people and a massive tourist trade, New York City is a great place to start a business, if you can afford the overhead. So make it a little easier on yourself by contacting the agents at Capital Gate Insurance Group for a New York City business insurance quote. We specialize in finding affordable premiums for commercial insurance needs as well for New York City businesses. Get in touch to find out more today!